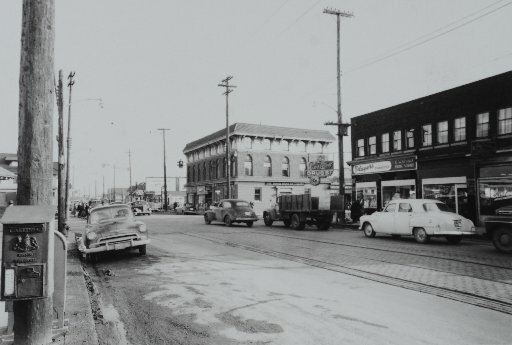 Historical photo of the south side of Barton at Ottawa in 1953. A view of the south side of Barton at Ottawa Street in 1953. The buildings (below) still stand today as seen in this recent photo. 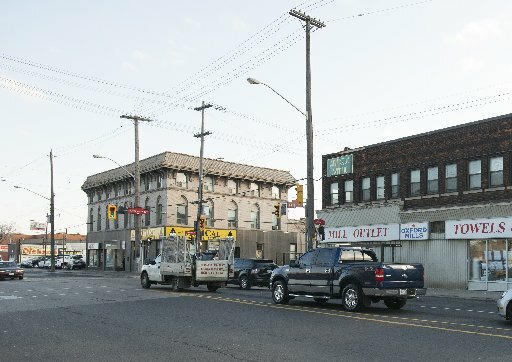 South side of Barton at Ottawa in 2014.  Archived in Flashback, Then and Now. Bookmark the permalink. Your flashbacks were very well done…..really appreciated. My current home is in Brockville, Ontario since 1965. My childhood memories started at 218 Cumberland Ave, the Mountain off of Upper James, moving to Glencairn Avenue off Parkedale Ave, to Stoney Creek, and finally to Winona on Grey’s Sideroad. Born in 1938 at Mount Hamilton Hospital I remember many great highlights of a lifestyle many would be privileged to have lived through. One of the greatest personal highlights was to work part time after high school at Delta at CKOC as an operator to many famous broadcaster of the day…..rememberr Hal Waggoner, the Tiger Cat who broadcast a Western music show at CKOC. Lyman Potts, the CKOC station manager called my Mother and after knowing how her son was so interested in becoming a radio announcer, said they had a Summer job opening available and I did that job until I moved on to Ryerson to take the Radio & Television Arts course and of course I finally entered into my field of choice later as a broadcaster. All the points you covered I remembered and the ones I didn’t recall were too expensive for my pocketbook at that time. Hamilton has so much history for me. The Hamilton Spec was always recalled by the paperboys who rang out the song like wail of “Spectator Spec” to persons on King Street at the Gore park heading home after a days’ work. I would truly be interested in meeting with one of your Spectator representatives to pass on many memorable events from 1938 to the late 50’s.